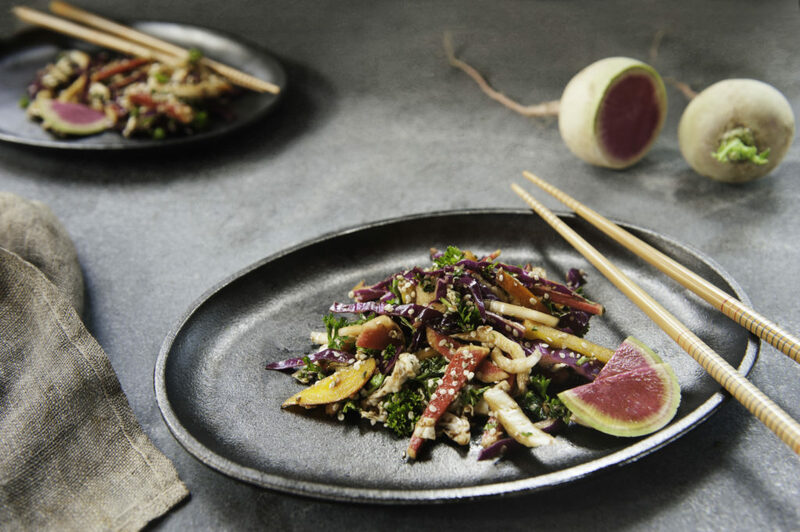 Maple ginger dressing makes a tasty Asian slaw; perfect as a main course salad for lunch and dinner. Popular for potlucks, too. The hemp seeds offer a complete protein in this fabulous, easy to make a vegan salad. Put all the ingredients in a large mixing bowl. Stir until well combined. Taste and adjust the seasonings, if desired. Serve immediately at room temperature or chilled, if you prefer.